Use this mallet with a normal grip or nestle it in the palm of your hand for exact control of the force. 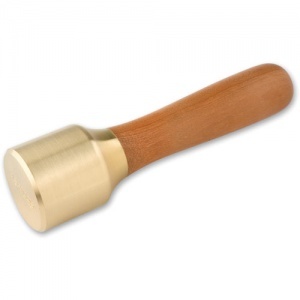 The brass head has a threaded connection to the cherry wood handle for a secure fixing. Overall length 150mm, weight 570g.